No matter how compatible or in love you are in your relationship, you will inevitably disagree on matters over time. Over the course of any marriage, there will be times when your opinion on one subject and that of your partner will be miles away from each other. In some situations, it seems as though a happy conclusion cannot be reached. In this case, some people simply agree to disagree. On this, I disagree! What you need to do is negotiate. If negotiation is done properly, both partners feel as though they have gained something important. I have seen significant and unfortunate stalls in discussions. When this happens resentment can grow. A distance, a feeling of being unheard and de-valued, can occur on both sides. This is unfortunate and unnecessary. Sometimes our ego would prefer to be right rather than to be honest. When caught in a position of conflict, we can sometimes resist validating our partner’s point of view. This is especially true if we don’t feel our side is being heard. In this kind of situation, we need to practice our communication skills. If we want a healthy relationship, we need to step outside of ourselves. Falling in love is a powerful experience. When two people decide they want to spend the rest of their lives together, many do not discuss important topics. Some topics are impossible to even imagine at the beginning of a relationship! Only after the challenges of life do they realize they disagree on some very important matters. Issues relating to managing finances, how to raise children, how to prepare for retirement, and other topics can become areas of major disagreement. What you can do to help your relationship, both now and in the future, is learn how to listen to each other. 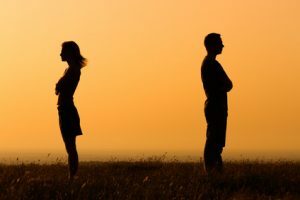 Learning these skills now ensure that when challenging conflicts arise, you will be able to hear each other out and come to a peaceful conclusion without adding major stress to your relationship. If negotiation is done properly, both partners feel as though they have gained something important. In any healthy relationship, a negotiation must occur between equals in a friendly atmosphere. Both skills for listening and skills for expressing yourself need to be learned and utilized. Both of you must be able to speak your mind and be heard by each other. Pause, Validate, Acknowledge, Empathize, Negotiate. Being able to listen is key to finding your way back to each other. If you would like to learn more you are welcome to call and book an appointment or fill out my contact form and click Send. I look forward to working with you!